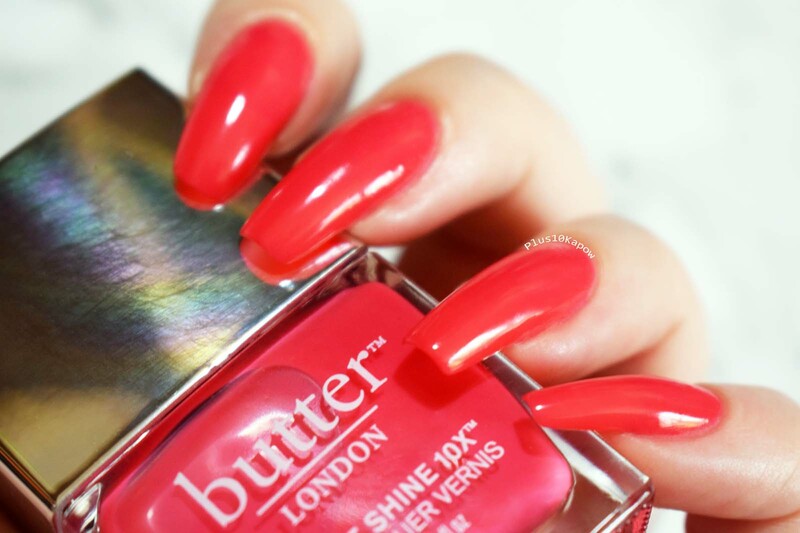 Plus10Kapow: Butter London Patent Shine 10X Flusher Blusher and Bang On! Butter London Patent Shine 10X Flusher Blusher and Bang On! I was very kindly sent these Butter London polishes by Rhiannon from Sparkle PR. They are Flusher Blusher and Bang On! 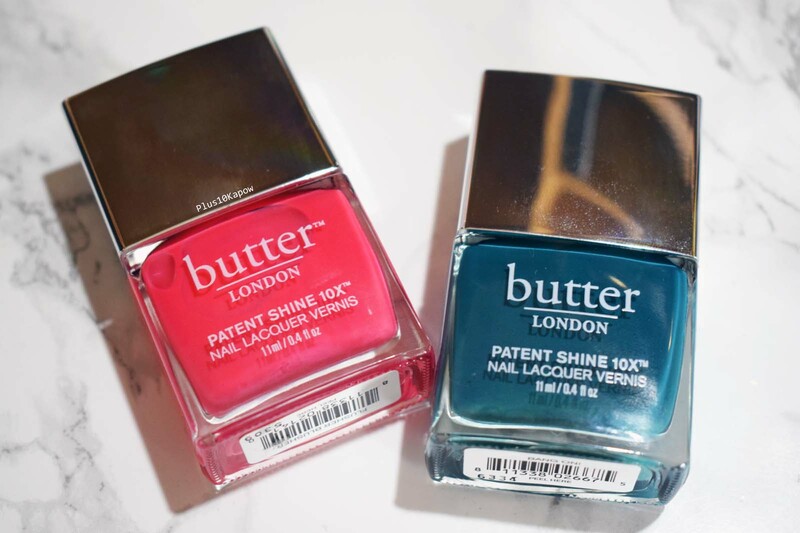 from the Butter London Patent Shine 10X collection, the first 10in1 nail polish made with Patented Shock Resisting Polymer Technology, combining gel-like wear with a nail strengthening formula. 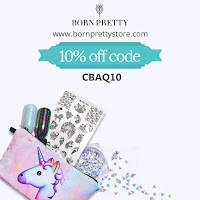 They are high shine, chip free, richly pigmented and should last up to 10 days. Now I don't know about the 10 days things, I can't remember the last time I wore the same polish for 10 days straight but they have a great pigment and a very glossy finish. Being 8 free is always a massive bonus and any polish that includes nail strengthening ingredients is hard to resist. These are also Gluten free and Vegan. 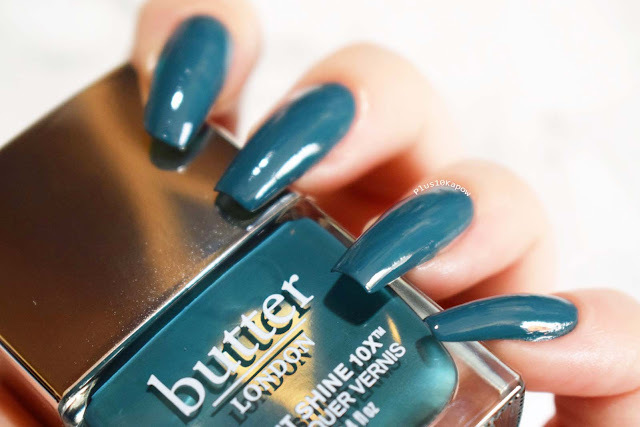 Believe it or not, I only own 1 Butter London polish and I have had it for ages, so I was quite happy to see a wide and curved brush that made application right up to the cuticle as easy a possible. These photos are 2 coats each with no topcoat! This pretty was very tough to get true colour in the photos, but it is a fuchsia pink creme with a fantastic light formula and it applied like a dream. It did not stain my nails or my skin and trust me, that was tested, I got it absolutely everywhere. It has a fantastic pigment and was opaque in 2 coats. It dried super quick and to a high gloss finish that I was pretty impressed with. And even with it's high pigment, it cleans up very nicely and removes easily. Bang On! is a gorgeous, deep, teal creme that is going to be one of my go to polishes this Autumn. Just like Flusher Blusher, Bang On! 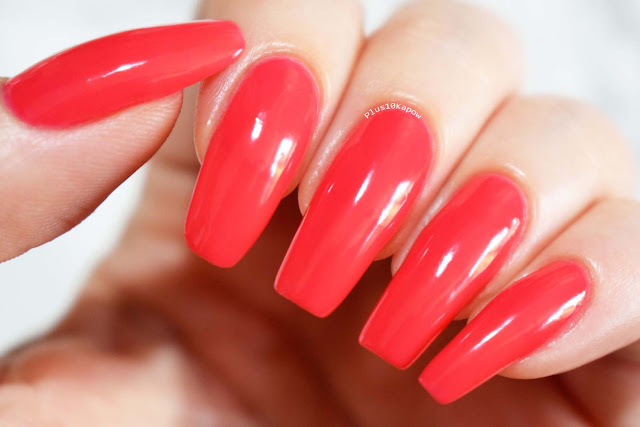 is highly pigmented and was perfect in 2 coats. 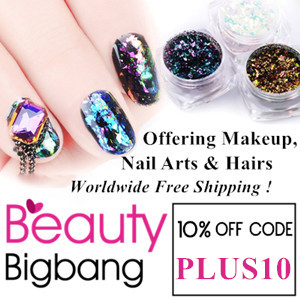 It applied smoothly due to it's light formula and dried fast to a high gloss finish. And, against what I thought, it did not stain my nails or skin, it cleaned up nicely and removed easily. Now, I'm not saying I am on board with the £15 but if you're looking to treat yourself to some gorgeous, glossy cremes then these should be on your list. they are available in 31 shades and you can get them from M&S and LookFantastic. 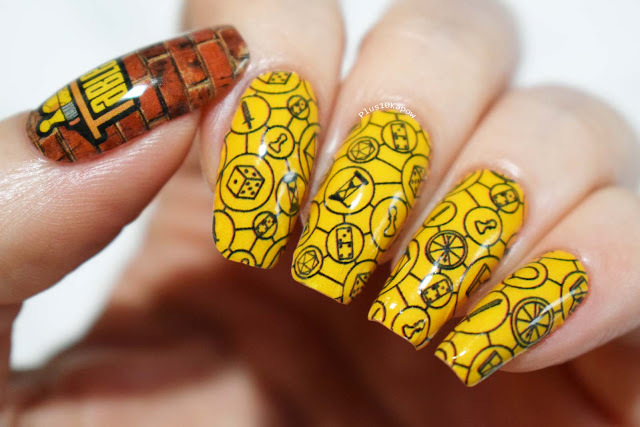 What is your favourite 'higher than average' priced nail polish brands?